Democratic Losers and their Media Backers Seek a Scapegoat for Their Own Disaster - This Can't Be Happening! 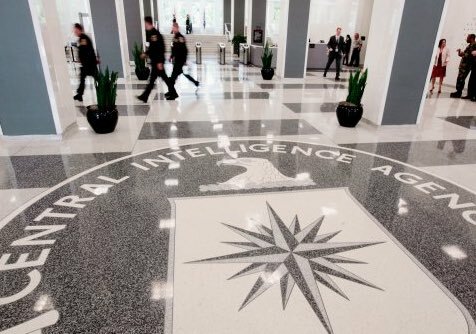 But why would anyone trust the CIA or the White House on anything? We’re talking about an agency and a Executive Branch that between them are known to have lied (during the GW Bush years) about anthrax labs in Saddam Hussein’s Iraq, lied about what were actually just irrigation-grade aluminum tubes imported to make short-range rockets being evidence of high-grade cast-aluminum uranium-purifying centrifuge parts, lied about Iran’s links to Al Qaeda, and (during the Obama years) lied about Syria’s government using Sarin gas on its own people in Damascus, lied about the details of the killing of Osama Bin Laden, lied about the role of a murderous CIA agent captured by Pakistani police while posing as a US consular employee, lied about the extent of National Security Agency Spying both at home and abroad, and lied about Russia invading Ukraine and shooting down a civilian Malaysian jumbo jet. Either the Russians did Americans a favor, by exposing the epic corruption of one of their two major parties and one of the candidates seeking to become president — something that a more independent and aggressive domestic media would have and should have done on their own, if not by hacking then by paying attention to, instead of ignoring and blacking out, what frustrated insiders were saying (like DNC Vice Chair Tulsi Gabbard, the Democratic congresswoman from Hawaii who quit in disgust saying the DNC was undermining the primaries on behalf of Clinton’s campaign). Or alternatively, we’re being told that our 240-year-old democracy is so shriveled and weak that an outside government can easily undermine it and manipulate the outcome as if we were some corrupt and fragile banana republic.